Take comfort in our dedication to excellence in surgical medicine, and a genuine passion for people at SouthWest Surgery WA. 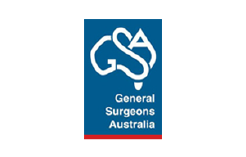 SouthWest Surgery WA is comprised of a small team of independent consultant surgeons who have undergone extensive specialist training in and around the areas of Breast, Endocrine and General Surgery. Our focus is on delivering excellence in patient care and surgical medicine, whilst maintaining a genuine passion for the people we treat. With our consulting rooms conveniently located in Bunbury, we operate at both public and private hospitals in Bunbury and Busselton.